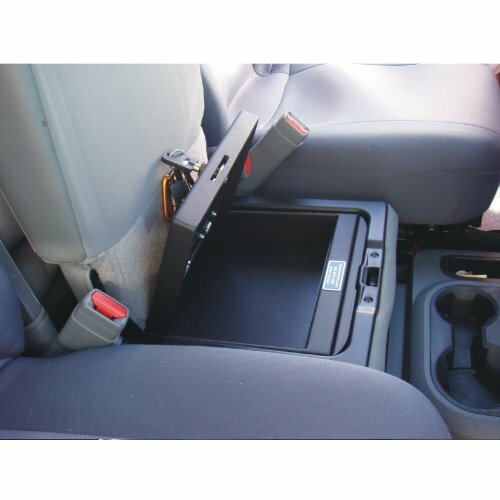 Dodge Ram owners love this product, fits in the lower seat cushion console on the bench style seat; the vault takes up nearly all of the factory console space and follows the form to provide maximum safe, secure storage. As always, the vault is designed to have a “factory look” for fit and finish. Installation is super fast and easy, remove a couple of the factory screws, drop the vault in place, and we provide longer screws to secure the vault. This vault can be installed in a couple of minutes and gives you peace of mind when securing valuables. The 1004 is available with a high security barrel key lock or our keyless entry lock. Perfectly balanced spring assisted door. Choose the combo lock or high security barrel key lock. ALL MODELS COME WITH A BARREL KEY LOCK UNLESS OTHERWISE SPECIFIED IN NOTES.